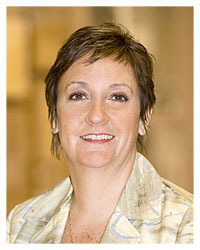 Leslie, who opened Designer Tile and Stone by Leslie in August 2002, has lived and breathed tile for over 30 years. Her experience in installation as well as design is something her customers have come to expect and depend on. Lisa is a member of our sales staff at the Shoppes at Detroit Court location.